Home Sport Top 10 Reasons Why Roman Reigns is the Best Wrestler in the World? When Roman Reigns’ entry song plays, and he enters with the demeanor of a king reining his kingdom we do ‘believe that.’ It’s been merely six years since his debut in November 2012 in WWE, but since then there hasn’t been a single day when the onlookers were spared from witnessing his marvels in the ring. 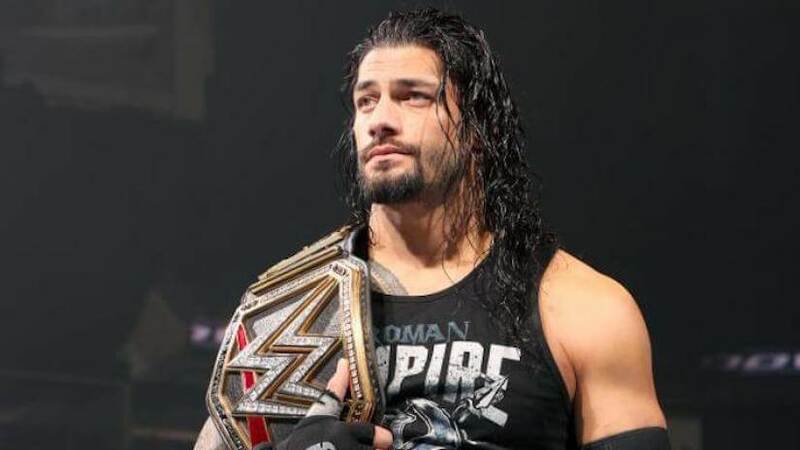 Though it is highly apparent why the ‘Big Dog’ is the reigning king of the wrestling world, still we present to you some strong points which explains the craze around this wrestler. Anyone who has laid eyes on this fine male specimen cannot deny that Roman Reigns has been blessed with some gorgeous features. Be it his beautiful sharp nose or those sparkly light blue eyes, Roman Reigns’ good looks is one of the reasons his fans are glued on to him when he enters the wrestling arena. Continuing the praises on his excellent looks lets come to the topic of those perfectly shaped muscular made. Weighing around 265 pounds, this 6 feet 3 inches wrestler has a physique which is the envy of even his competitors. Roman Reigns was always an athlete previously associated with football. His entry into the wrestling scene has only led to his body look more aesthetically pleasing. Also, Read: WWE Money in The Bank 2018 – Who will Win this Event? The ‘Big Dog’ has got a bad habit. This bad habit is the matter of despise of all those haters who love to hate him. He doesn’t lose! Our Roman Boy doesn’t just have good looks to boast about, but he becomes the whole package deal when his wrestling action is counted as well. This pretty face is now being called up along with the big names of the industry like Hulk Hogan and Stone cold. Also, Read: Why AJ Styles is Considered as the Best WWE Wrestler in the World? This man is a winner, and he sure dresses like it. Roman Reigns, without any argument, is the best-dressed wrestler in WWE. We know he is a warrior and he is going to fight like one when he enters the arena wearing his body armor. His cool t-shirts and well color coordinated clothing give him that unique refine aura that only a few wrestlers in WWE have. You know you are talking about the best wrestler in the world when the man already has the word ‘Reign’ in his name. The man was already a king; he just found his kingdom and took over it from others to claim it as his own. Apart from being the king of WWE, he also is the reigning champion of people’s heart. Yes! It is never possible to be the best wrestler in the world without winning the championship belts. But this wrestler with long locks has plenty to brag about with his three times WWE World Heavy Weight Championships, Tag team championships, One-time Intercontinental Championship and recently his United States Championship. The number of wins to this WWE superstar doesn’t just end there he also has won the 2015 Royal Rumble, in 2014 got the superstar of the year title and also has won the prestige to be the person to cause most numbers of eliminations in the Royal Rumble Match of 2014. It’s not a child’s play to be in the cutthroat world of WWE. Very few survive here, let alone have the ability to rise to the top. Roman Reigns is the defender of many championship titles, and these are the result of his persistent hard work to get better in his field. The strength, the power, the awesome moves and the steel body all are the outcome of his tirelessly training in the gym to continue to be the best. When Roman Reign is in the ring, it is just a series of amazing moves one after the other. We have witnessed this heavyweight winner’s endless triumphs. Roman sure has some super cool but deadly moves which have helped him to land those varied collections of titles. Even with the matches where there seems no hope for a win, the Big Dog somehow managed his comeback to ultimately win through the tremendous Samoan drop, Superman punch, basement dropkick spear and Avalanche Powerbomb. Sorry, but the reasons for Roman Reign being the best wrestler in the world will remain incomplete without an honorary mention to his luscious locks! That sleek, shiny long black hair sets him apart from any wrestler ever in the WWE history. This superstar of WWE has already been started to be recognized as the face of WWE Raw. It is now only a matter of few matches when Roman Reigns will become the superstar of the whole WWE universe.